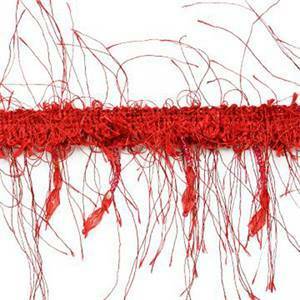 Eyelash fringe is great for pillows, draperies, upholstery, and a variety of home decorating purposes. 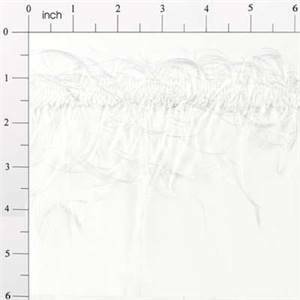 This selection includes over 50 great eyelash fringe styles and colors for your home decorating project. 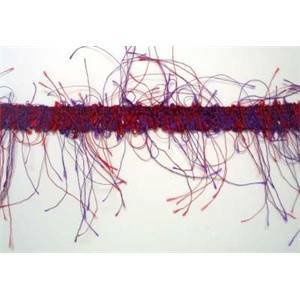 IR2664 - RD- Beaded Eyelash Trim - Light Blue - 10 yard reel Beaded Eyelash Trim 1 7/8" - Red - IR2664RDBeaded eyelash trim gives the illusion of a larger trim with flyaway fiber strands. The integrated beading adds weight and substance.The actual size of this trim is approximately 1 7/8" from the top of the gimp to the bottom of the longest bead strand. 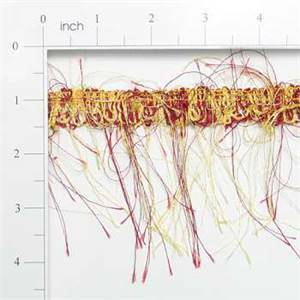 The woven gimp is stitched across the top with loops at the bottom and measures approximately 1/2" in width. 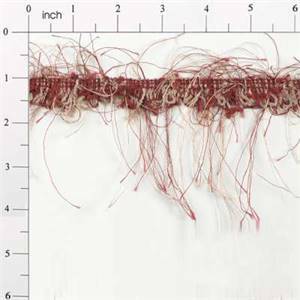 The fibers will vary from 1" to 3" length and are not included in the trim size. 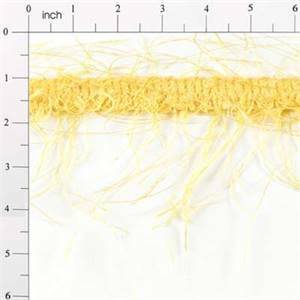 The bead strands measure 1" to 1 1/4" long alternately from the bottom of the gimp and are spaced approximately 7/8" apart.This trim is a classic and because of it's airy nature, lends itself beautifully to use in lampshades, scarves, handbags, apparel and home decor. It is also a favorite among crafters. 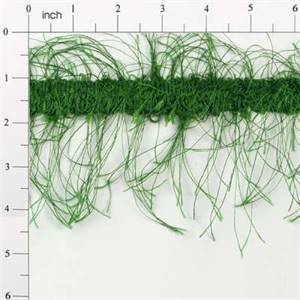 For other options, please see IR1785 which is the basic eyelash trim without beading.Contents:70% Polyester, 20% Plastic, 10% GlassCare Instructions:Hand wash cold water, mild detergent, air dry.Product comes in 10 yard continuous reel.This item usually ships in about two weeks from order date. 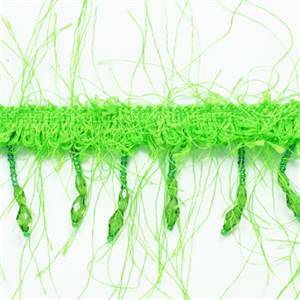 IR2664 - LM - Beaded Eyelash Trim - Lime - 10 yard reel Beaded Eyelash Trim 1 7/8" - Lime - IR2664LMBeaded eyelash trim gives the illusion of a larger trim with flyaway fiber strands. 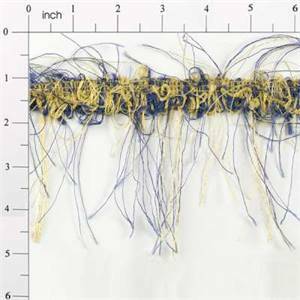 The integrated beading adds weight and substance.The actual size of this trim is approximately 1 7/8" from the top of the gimp to the bottom of the longest bead strand. 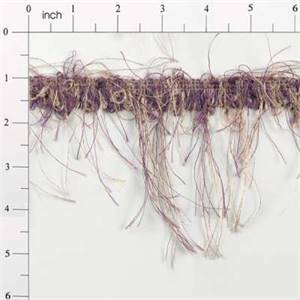 The woven gimp is stitched across the top with loops at the bottom and measures approximately 1/2" in width. 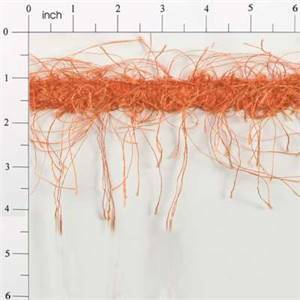 The fibers will vary from 1" to 3" length and are not included in the trim size. 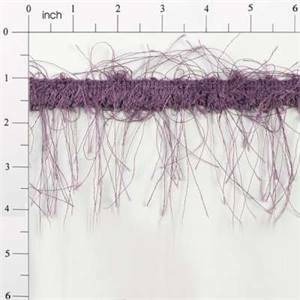 The bead strands measure 1" to 1 1/4" long alternately from the bottom of the gimp and are spaced approximately 7/8" apart.This trim is a classic and because of it's airy nature, lends itself beautifully to use in lampshades, scarves, handbags, apparel and home decor. It is also a favorite among crafters. 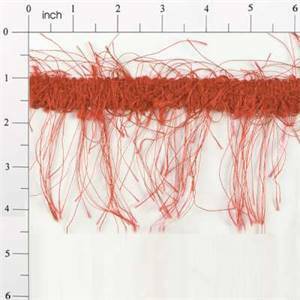 For other options, please see IR1785 which is the basic eyelash trim without beading.Contents:70% Polyester, 20% Plastic, 10% GlassCare Instructions:Hand wash cold water, mild detergent, air dry.Product comes in 10 yard continuous reel.This item usually ships in about two weeks from order date. 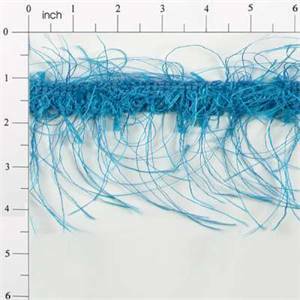 IR2664 - LBL - Beaded Eyelash Trim - Light Blue - 10 yard reel Beaded Eyelash Trim 1 7/8" - Light Blue - IR2664LBLBeaded eyelash trim gives the illusion of a larger trim with flyaway fiber strands. The integrated beading adds weight and substance.The actual size of this trim is approximately 1 7/8" from the top of the gimp to the bottom of the longest bead strand. 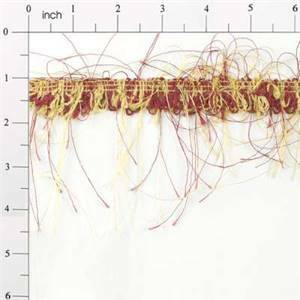 The woven gimp is stitched across the top with loops at the bottom and measures approximately 1/2" in width. 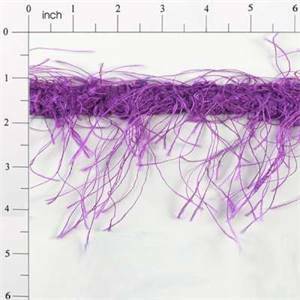 The fibers will vary from 1" to 3" length and are not included in the trim size. 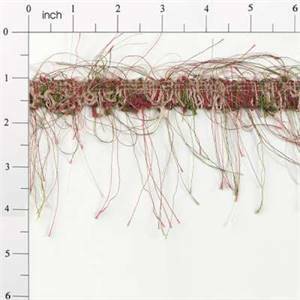 The bead strands measure 1" to 1 1/4" long alternately from the bottom of the gimp and are spaced approximately 7/8" apart.This trim is a classic and because of it's airy nature, lends itself beautifully to use in lampshades, scarves, handbags, apparel and home decor. It is also a favorite among crafters. 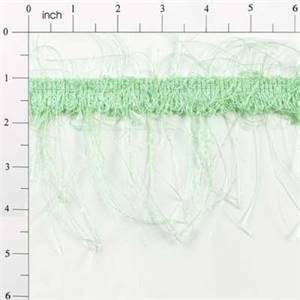 For other options, please see IR1785 which is the basic eyelash trim without beading.Contents:70% Polyester, 20% Plastic, 10% GlassCare Instructions:Hand wash cold water, mild detergent, air dry.Product comes in 10 yard continuous reel.This item usually ships in about two weeks from order date.